Four barges full of fireworks will once again take to the Hudson River this year to light up the sky for New York City's 4th of July celebration. The boats will be positioned between 23rd and 42nd Streets, meaning the best views will be from the west side, but don't head to the many waterfront parks. Battery Park, Battery Park City, all piers along the Hudson River, and Hudson River Park will be closed to visitors. The public will be herded toward the free viewing area on 12th Avenue, but there are plenty of other options if you like your fireworks with a few thousand less people. Lounge poolside on a hotel rooftop, eat yourself into a food coma at an all-American barbeque, or enjoy the show from afar on a Brooklyn pier—check out this map of 19 places and take your pick. The fiery fun begins today at 9:20 p.m. The fireworks will be set off from four barges on the Hudson River between 23rd and 42nd Streets, and 12th Avenue will be the viewing area. NYPD security is tight, so don't bring any coolers or backpacks to save yourself some hassle. The southern most access point is 24th Street at 11th Avenue. If you have any desire to get a seat, be sure to arrive well before sundown. You can find all the access points here. The northern most access point to get to 12th Avenue will be 57th Street. Same rules apply: get here early and the NYPD requests that you don't bring coolers, large bags, or lawn chairs. Last year, they even made everyone pick up their blankets. For premium seats, book a seat on one of the many cruises departing from Chelsea Piers—but be prepared to pay premium prices for the remaining seats. Sail NYC cruises cost upwards of $300 per person, while the cheapest option from Spirit Cruises is $399. Most of these tickets are for several hours-long events that include dinner and drinks. If partying on a barge in New Jersey sounds like your thing, you're in luck. That's happening. The Oceanie Club is hosting a party on a ship docked at the Lincoln Harbor Yacht Club. General admission is $100 per person, but you can book yourself an overnight room on the ship for $249. Lincoln Harbor Park in Weehawken will have prime views of the fireworks, but if you live any where other than Weehawken, you're out of luck—it's only open to residents and you need proof of residency to enter. You can find more details in this PDF file. In Hoboken, Maxwell Park will be open to the public, but like in Manhattan, there will be multiple checkpoints, and backpacks, cans, glass bottles, tents and other items are prohibited beyond those checkpoints. Sinatra Drive from 15th Street to 1st Street will also be open to the public. Brooklyn and Queens are still bitter that the fireworks were moved from the East River to the Hudson River, but waterfront areas—like East River State Park in Billyburg—still enjoy great views. Plus, these areas get to look at the Manhattan skyline rather than dirty Jerz. The rooftop bar Hudson Terrace, located on West 46th close to 12th Avenue, will have one of the best views in the city, and you can enjoy said views for $165. The lounge is hosting a fireworks viewing party that includes a four-hour open bar, BBQ buffet, a live DJ, and unspecified party favors and "takeaway gifts." You can buy tickets here. The purple-hued Yotel on the west side is keeping the theme all-American with a $75 per person "all you can eat and drink" summer BBQ. Stuff yourself silly with fried chicken, burgers, hot dogs, pulled pork sliders, mac and cheese, corn on the cob, coleslaw, peach cobbler, and lobster gazpacho shooters. Hungry yet? There will also be unlimited beer, wine, and "Red, White, and Blue(berry) sangria." Views of the fireworks are somewhat limited, but you'll probably be in a food coma by then anyway. Atop the Ink48 hotel, the Press Lounge is hosting an open bar party with hor d'oeuvres from 6 p.m. to 10 p.m. for $266 a pop. At 10 p.m. (post-fireworks), the lounge will be open up to the general public. Call for reservations. Midtown's Dream Hotel hosts one of the cheaper 4th of July fêtes, with tickets costing just $15. The all-American six-hour party includes free cotton candy, free hot dogs, and a craft beer tasting. There will also be a Made In America pop-up shop if you need some USA schwag. Starting at 2 p.m., the Standard's rooftop hot spot will welcome Independence Day frolickers. The space will have unobstructed views of the fireworks. Fifty dollars will buy you entry and a drink at Plunge, the rooftop lounge at the party-loving Gansevoort Hotel in MePa. If you feel like splurging, $250 gets you bottle service and food, plus "unrestricted view of fireworks display," which leads us to believe the rest of the party-goers may not have the best view. Both of the city's Dream Hotels have stellar rooftop spaces, but the party at the downtown version is more expensive—and it seems like you get less for your money. Tickets are $50 and ads for the event only mention a DJ, no food or free drinks. Hotel Americano's rooftop respite—there's a bar, grill, and pool—is hosting an all-day extravaganza, with doors opening at noon. There will be special star-spangled cocktails, grilled lobster and branzino, and several different DJs. Admission is free, but food and drink are pay-as-you-go. Table reservations are recommended. Celebrate our nation's independence with live music and a battle of the bands at the Empire Hotel's rooftop lounge. Tickets are on the cheaper end, just $35, but that only gets you admission. At first glance, the tickets to the party at Hudson Hotel's Sky Terrace seem exorbitantly priced, but most of the prices are for groups. Per person, the cost is $75 and that gets you one hour of open bar. The other options are for tables, and they range in price from $400 to $1200, with the cost directly correlating to the number of people you can have. For about $100 per person, smaller tables get one bottle of champagne and one bottle of vodka, while the largest table gets two of each. Views stretch all the way down the river to the Statue of Liberty. It's a message busy New Yorkers hate to get: the low-battery message on your cellphone when there's no charger in sight. Now that could be a thing of the past. New York City has teamed up with AT&T to install 25 solar-powered charging stations for public use, available for free in parks and beaches across the five boroughs over the summer. The program launched at Fort Greene Park in Brooklyn on Tuesday. The "Street Charge" stations will be in place in New York until September, but if the pilot goes well they could become a permanent fixture. The idea came about after Superstorm Sandy, said AT&T New York State President Marissa Shorenstein. Lack of power after the storm left New Yorkers desperately searching for somewhere to charge their phones to contact friends and loved ones. The blackout led people to walk for miles or line up to use daisy chained power strips. "After Sandy we met with the Mayor and asked what we could do to help," she said. "This technology is designed for both good times and bad. AT&T is paying for the stations, with no cost to the city. Solar power manufacturer Goal Zero and Brooklyn design company Pensa partnered up to create the Street Charge stations. The seven-foot silver poles have three flat solar panel arms on top, with stands at waist-height to charge up to six devices at a time. The stations can also charge tablets and other mobile devices. The solar technology uses monocrystalline power cells and can fully charge up to 30 phones before it needs some juice of its own — even during the night or under cloudy skies. Solar power is widely used for charging devices in developing nations. The battery cells in Street Charge units were developed by Goal Zero in the Democratic Republic of Congo, said a spokesman for the company. "This is a very exciting moment for solar," said Joe Atkin, Goal Zero's CEO. "It shows that solar is convenient. It has a place in our everyday lives." The first stations are already up in Union Square, Central Park, and Fort Greene Park. Walking with her daughter in Fort Greene Park on Tuesday, Suzane Vera said she is in favor of what she called yet another green initiative for the city. She just wished the park's station wasn't right at its entrance. "I'd prefer it somewhere else," she said. More stations will be rolled out across the city over the next few weeks. In a move that may enrage those who enjoy a cigarette on their couch after work, but delight air-freshener-wielding neighbors, a major landlord has banned smoking in all of its apartments across the country. Those already renting from Related can light up until their leases expire, but new tenants must sign a contract promising not to smoke, even inside their own units. As of this month, the Related Companies has decided that tenants can no longer light up in the 40,000 rental units it owns or manages. The edict, which builds on an effort that began for Related with a handful of its New York buildings in 2009, is meant to create healthier living conditions, company officials said. Although the program will roll out gradually, it appears to be the first of this scale by a national property owner. It also seems likely to create controversy. Where past efforts against smoking have focused on public gathering places — like bars, stadiums and courthouses — Related is now trying to prohibit legal private behavior. Not that smokers will get kicked to the curb right away. New tenants must sign a contract promising not to smoke anywhere in the building, including their private terraces or balconies. If they break the rules, they can be evicted. But those already renting will not face the same fate until after they renew their leases and sign the no-smoking contract. With a turnover rate of 10,000 a year, Related’s apartments could conceivably be smoke-free in a few years’ time. 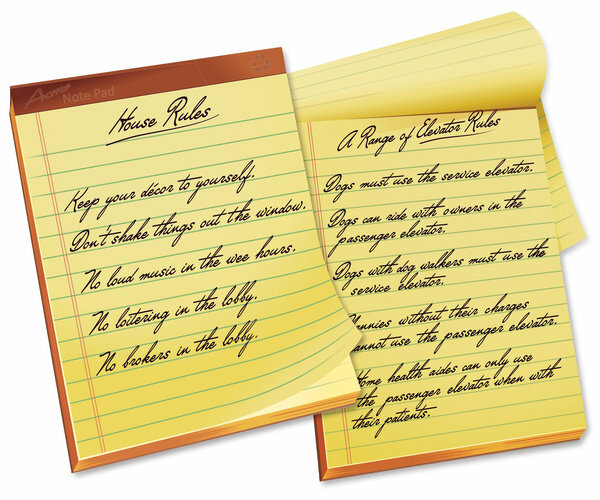 Critics point out that tenants could always lie about their habit, and hide it successfully. Also, it can be very difficult to evict tenants — especially those whose rents are regulated, as they have strong protections and guaranteed lease renewals. But some smokers — and even nonsmokers — worry about privacy infringement and say Related is overreaching. “It’s just mean,” said Polina Skoch, a resident of Related’s One Union Square South, who smokes half a pack of Marlboros a day. Even though she signed her lease earlier and is out of the immediate line of fire, Ms. Skoch said she worried about the “Big Brother” vibe that the changes could facilitate, because Related will mostly rely on neighbors to report on neighbors. “I thought it couldn’t get any worse when the city banned smoking in parks,” she added. But Jeffrey I. Brodsky, the president of Related Management, says people can’t expect such freedoms in an apartment building, where resources are shared. “It’s not unlike somebody playing their tuba at two in the morning and compromising their neighbors’ efforts to enjoy their apartments,” he said. “There’s an expectation of certain behavior.” As for the increasingly trendy smokeless cigarettes, Related says that because they don’t emit plumes, they aren’t banned — although “we reserve our right to adjust our program if they become known as hazardous to others,” a spokeswoman wrote in an e-mail. Related’s condominiums won’t be affected. Many studies have proved that secondhand smoke, which is cited as the reason for most smoking bans, is a health hazard. What’s less obvious is how much smoke actually seeps from one apartment to the next. In New York last year, for instance, the 311 complaint line received 1,340 calls about smoke from other apartments. To put that in perspective, calls to 311 last year totaled 19.4 million, and 127,607 of them were complaints about noise from neighbors, officials said. At the same time, fewer adults are smoking in New York. In 2002, according to the city health department, the rate was 22 percent; in 2011 it was 15 percent. Whether the cause of that decline or just a coincidence, a raft of policies in the last decade have greatly limited where people can smoke. In New York, smoking was snuffed out in restaurants in 2002 and on beaches and in city parks in 2011; last year, Mayor Michael R. Bloomberg said he wanted every building, including co-ops and condos, to draft a smoking policy, whether pro or con, which some saw as encouraging bans on apartment smoking. The mayor also hopes to set limits on who can smoke: in April, officials unveiled a plan to raise the age limit for cigarette purchases to 21 from 18. On some of its tactics, New York City has company. In recent years several cities and towns in California have banned smoking in apartments; San Rafael did so last fall. And in Sacramento this spring, a bill was introduced to ban smoking in multifamily housing statewide — although it was scuttled by concerns about the feasibility of enforcement. But the fact remains that not everybody is convinced the only way to deal with smoking complaints is to ban smoking. Donald Erwin, a principal of Erwin & Bielinski, an architecture and engineering firm, said a minor renovation might be enough to remedy secondhand smoke. During the last real estate boom, he explained, many people in condos and co-ops cut into buffering wall space when expanding their apartments, making it easier for secondhand smoke to travel. Also, newer condos often have thinner walls than century-old buildings, which explains why their tenants complain more frequently about smoking, said Mr. Erwin. He added that putting proper insulation inside walls, and seals around lights, can keep smoke out. “It can be incredibly simple to fix,” he said. Some property managers, too, favor a less extreme approach than bans, like air purification systems, said Enid Hamelin, a spokeswoman for Lawrence Properties, which manages 65 buildings in New York. Since 2009, when Related began its antismoking program at TriBeCa Green in Battery Park City and the Sierra in Chelsea, courts have generally supported the legality of smoking bans in apartment buildings, lawyers say. With market-rate units, landlords can kick smokers out simply by deciding not to renew leases. But Related’s buildings have many rent-regulated units, including more than 4,000 in New York. Lawyers said protections like guaranteed lease renewals would make it difficult to evict smokers from these kinds of affordable apartments. So far, at least, bans have rarely led to evictions. There haven’t been any in the dozens of buildings managed by Pan Am Equities since it imposed a smoking ban in 2008, said David Iwanier, a vice president of the company. Only a single person has left 1510 Lexington Avenue, owned by Kenbar Management in East Harlem, where smoking is banned not only in the apartments but also on adjacent sidewalks, said Kinne Yon, a Kenbar principal. But that person, a cigar smoker, moved out voluntarily after just a few days, and got his security deposit back, Ms. Yon said. Both Mr. Iwanier and Ms. Yon acknowledged, however, that smokers may avoid their buildings in the first place. Co-ops are like rentals, in that rules can be passed by a majority of the co-op board, although a ban attempted by Lincoln Towers, the 452-unit Upper West Side complex, failed in 2002. Condos are trickier, because bans usually require a change in bylaws, which means two-thirds of residents need to approve them. “And good luck getting a group of New Yorkers to agree on anything,” said Adam Leitman Bailey, a real estate lawyer who has handled several smoking cases. He added that if a building has unsold units controlled by the developer, who gets a vote for each one of them, the developer may decide to vote against a ban, so as not to limit the buyer pool. Still, the 32-story Ariel West, a condo on the Upper West Side, banned smoking in 2011. Fines are $150 for the first offense and go up by $150 for each one that follows. And last winter, the 98-unit One Grand Army Plaza in Brooklyn banned smoking in all spaces except for private terraces and its roof. This spring, after a few years of deliberation, Zeckendorf Towers, a 670-unit full-block development at Union Square, also put a ban in place, staking a claim as the largest apartment complex in the country to do so. And with that kind of momentum on its side, Related is also acting in a favorable economic climate. Vacancy rates are low in many cities, which means that even limiting the applicant pool should not hurt the company’s ability to fill up its buildings. During the recession, demand slackened everywhere, which delayed rollout of the initial ban. “There were a lot of other exigencies in the marketplace for a while,” Mr. Brodsky said. Under the plan, Related will also ban smoking in its new rental buildings; one of them, 500 West 30th Street at 10th Avenue, a 386-unit rental, is to open next year in the Hudson Yards neighborhood. Outside New York, soon-to-be-completed projects include Ocean Avenue South in Santa Monica, Calif.; 111 West Wacker Drive in Chicago; and 100 Arlington Street in Boston. Whether smokers will decide to quit in order to live in a Related building, or simply go somewhere else, remains to be seen. But Mark Panzarino, an artist who also lives at One Union Square South, strongly supports what his landlord is doing. The first one is a hidden gem, especially if you do not frequent the northern end of the park. It can be found in the area called the Loch in the North Woods, east 101st to 110th street. It is the most dramatic of the two, cascading down 14 feet over a rocky edge. Another is on the west side, at the other end of the same stream in an area known as The Ravine. This is roughly between west 101st and 103rd streets. You have to veer off the path and hike down to it. There you will find it, framed by lovely rocks and trees. This waterfall gets more sunlight and is found more frequently by Park visitors. Prepare a picnic and wear some comfy shoes, you'll be there a while. The Appellate division upheld the City’s e-hail pilot program which will allow users to hail yellow cabs via smartphone apps. A temporary restraining order that had previously blocked the program was removed and the program will proceed. Living in the city has its perks. But it also has its pests! Living in the city has its perks. But it also has its pests. From mice to roaches to bed bugs, dreaded pests can and will descend upon our apartments. Why pay an exterminator hundreds of dollars to douse dangerous poisons, when myriad natural, non-toxic, economically priced solutions are at our disposal? Of all the methods I’ve tried, the following are the most effective. Use them either to treat a present pest problem or to prevent a future infestation. WHERE ARE ALL THE FRESH-SCENTED MICE? Peppermint is a beloved staple of soothing herbal teas, breath-freshening chewing gums, and bestselling toothpastes. Though for mice, this invigorating scent works like one of those prank stink bombs from yonder days of elementary school. They find it unbearable and will quickly scurry for the hills. 1. 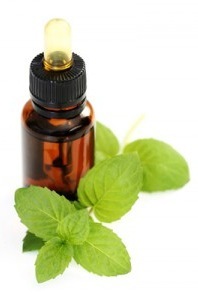 Fill your spray bottle with 1⁄4 cup of water and 40 drops of peppermint oil. Shake. 2. Spray liberally along baseboards and rear interior edges of kitchen cabinets, particularly beneath the sink. 3. Locate entry points; fill each with a cotton ball soaked in the oil. Safety Tip: Keep your fingers out of entry points—you could get bitten! For safety’s sake, wear thick gloves or use tweezers. Cockroaches are renowned for their ability to survive harsh conditions and hazardous environments. They do, however, avoid “spicy” situations. In fact, there’s a condiment that’s as painful for cockroaches as it is for people with ulcers. Even just the scent of this substance is intolerable for cockroaches. Yep. Tabasco sauce. The owner of that taco joint shut down by the health department is slapping his forehead right about now. Every table held the answer to his problem. 2. Judiciously spray along baseboards, beneath radiators, and near doors. Don’t spray willy-nilly. I love Tabasco as much as the next guy, but its scent is undesirable for living quarters. Safety Tip: Spray may accidentally return in your direction. I learned the hard way that protective eyewear is important. Click the link below for more natural ways to get rid of pests! New Yorkers were wowed on Wednesday by a sunset that was perfectly framed by skyscrapers, thanks to an urban astronomical phenomenon known as Manhattanhenge.The same planetary tilt that determines the seasons also dictates exactly where the sun will go down each evening — and because of the way that Manhattan's dominant street grid is laid out, killer sunsets are potentially visible from some of the borough's best-known east-west streets in late May and mid-July. Because the Board Says So......No long chats with the doorman??? No umbrellas or wet boots in the hall. Latest Post........The Best Cookies and Muffins you will ever EAT!